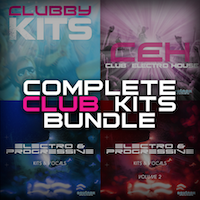 'Complete Club Kits Bundle' combines the four most popular Equinox Sounds Electro & Progressive collections into one big bundle making this an invaluable tool for all the Electro House, Commercial and Progressive music producers. You'll get a total of 27 Construction Kits (six of them include vocals). All the MIDI parts of these Kits are also supplied. 'Clubby Kits' includes eight Construction Kits made for producers who want to make Electro, Electro House, House, Commercial and Progressive radio and club bombs. Each Kit is provided with the BPM and presented with a full mix and its component parts. 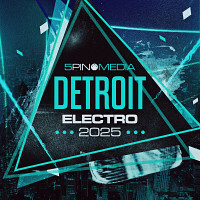 'Club Electro House' includes ten Electro House Construction Kits inspired by chart-topping dancefloor producers such as Caveat, Remedy, Banvox, Sandro Silva, Skrillex and more. Each Kit is provided with the BPM and presented with a full mix and it's component parts. 'Electro & Progressive Kits & Vocals Vol 1' features five fresh Construction Kits for producing outstanding Electro House and Progressive music. 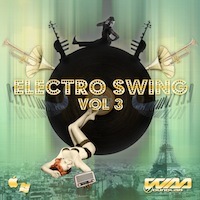 The pack features two Electro House Kits with vocals plus three Progressive Kits. All the MIDI parts of these Kits are also supplied. 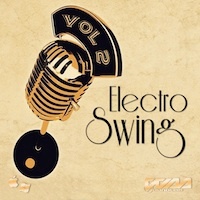 'Electro & Progressive Kits & Vocals Vol 2' features four fresh Construction Kits for producing outstanding Electro House and Progressive music. All the MIDI parts of these Kits are also supplied. The Following End User License Agreement is included with Complete Club Kits Bundle. This License is only valid for the individual who has purchased an unopened, new and lawfully made copy of Complete Club Kits Bundle from a dealer or distributor authorized by Big Fish Audio. 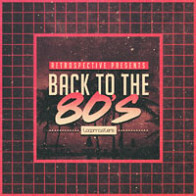 "EQUINOX SOUNDS LICENSE AGREEMENT The loops and samples on this pack are licensed, not sold to you. All rights not expressly granted to the user are reserved. Only the original purchaser of this product has the right to embody and reproduce the sound samples within their music compositions. The sounds are not transferable. All copying, lending, duplicating, re-selling, renting or trading of this product is prohibited by law. The sounds can be used for commercial and non commercial use and not for the creation of any competitive product. Unauthorised duplication of this product is a violation of applicable laws. 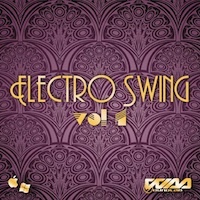 © Copyright Equinox Sounds "